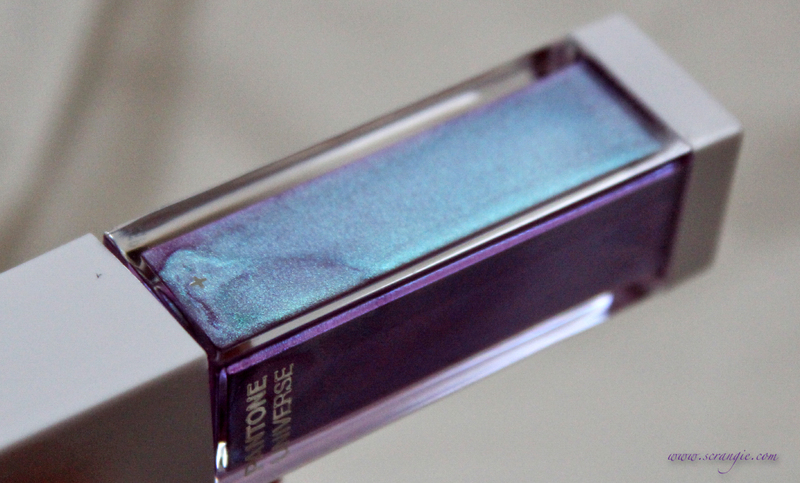 Attention fellow duochrome lovers: Sephora has duochrome/multichrome/iridescent lipglosses and liquid eyeshadows. On the left is the Astral Lip Glaze set, on the right are the three shades of Light Storm Liquid Shadow. They just arrived a few minutes ago so I haven't had a chance to try them yet, but I'm so excited about them that I had to post about it. 'Cause... look! It's like Scrangie in eyeshadow form! What? 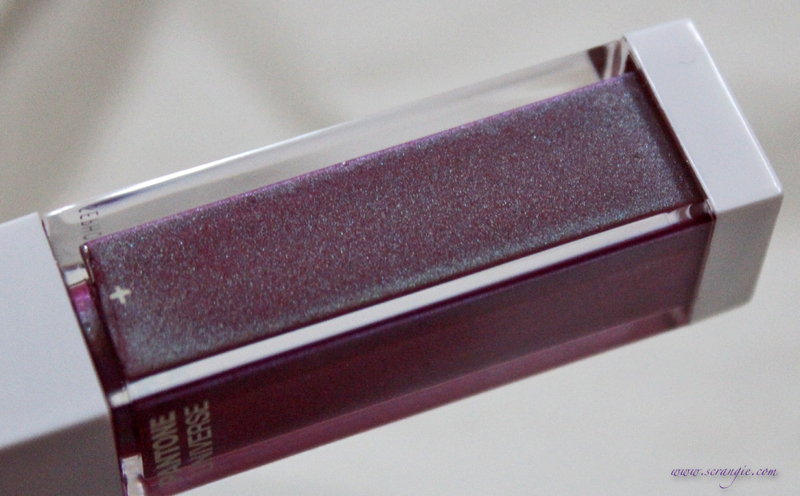 A mauve/purple lipgloss with green duochrome shimmer?! I'm in love. So freakin' cool. I hope they don't fall flat when I apply them, because that would be a massive letdown. Ohhhh! I want Smoky Grape. That must be the best shadow for green eyes *ever*. Mauvewood. Get on my lips! I can't wait to see your swatches, really hope you can see the green. I want these! I have yet to try anything from the Pantone line. I really look forward to the reviews on these! Ooh! 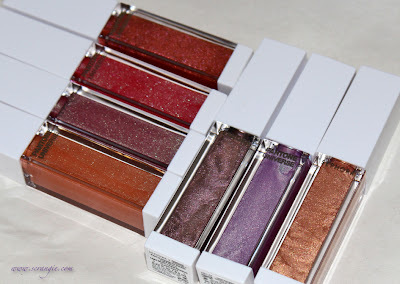 I want to see swatches!! 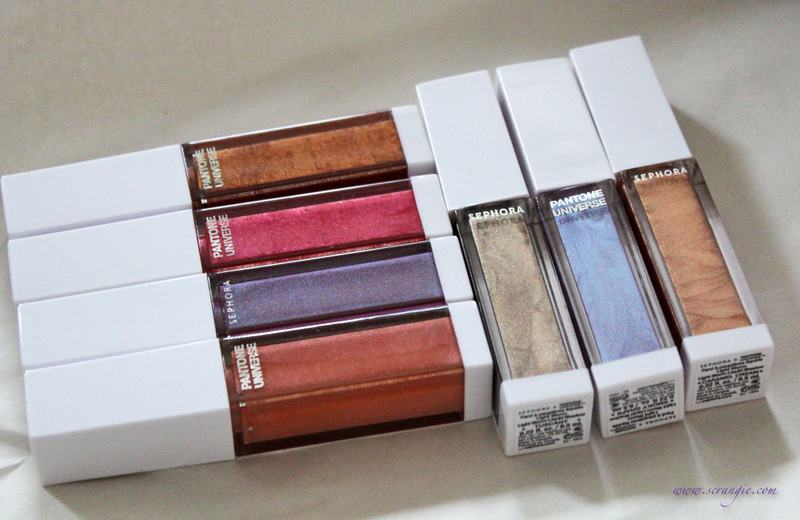 the eyeshadows look so amazing...hope we get them in india too since Sephora has launched their store here.